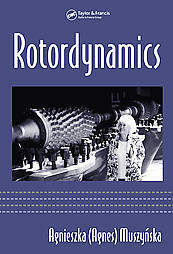 Rotordynamics advances simple yet adequate models of phenomena taking place in the rotor and its environment. Based on the author's extensive work at Bently Rotordynamics Research Corporation, world-renowned for its innovative and groundbreaking experiments in the field, this book provides realistic models, step-by-step experimental methods, and the principles of vibration monitoring and practical malfunction diagnostics. It covers extended rotor models, fluid-related phenomena, and other dynamic phenomena such as balancing. The author illustrates practical diagnoses of several possible malfunctions and emphasizes correct interpretation of computer-generated numerical results.